Thatcher was famous for only needing five hours a night, Trump only gets four – sleep is for wimps, right? Wrong. In fact, research increasingly suggests that our lack of sleep is shaping up to be a public health crisis – the minimum recommended amount for optimum health is 7.7 hours a night and most of us are getting considerably less. And we don’t like it – Americans spent an estimated US$41 billion on sleep aids in 2015, and the market is expected to grow to a value of US$52 billion by 2020, according to figures from BCC research, per NBC News. Enter sleep care, dubbed the wellness industry’s fastest growing category (and we all know how big wellness is right now), there’s been a noticeable boom in beauty products promising to help improve sleep quality and duration. Lush almost broke the internet when it launched its Sleepy Body Lotion in 2017, while This Works, a brand built on promoting ‘beauty sleep’ (pun intended) offers everything from pillow sprays to shower gel, and saw sales grow 46 percent last year. Meanwhile, Cult Beauty reports that Annee de Mamiel’s specialist sleep facial has a three-year waiting list and Algenist’s Genius Sleeping Collagen has been named among Allure’s list of the ‘most exciting products to try in 2019’. Indeed, a Glossy report notes that Sephora.com currently lists more than 170 sleep-related products, while Ulta has 95 in the category. And they keep coming – Dr Murad is partnering with a mattress brand for its latest launch in the space, Night Fix Enzyme Treatment, while The National Sleep Foundation will host its first consumer expo in March, with 200 brands down to exhibit. 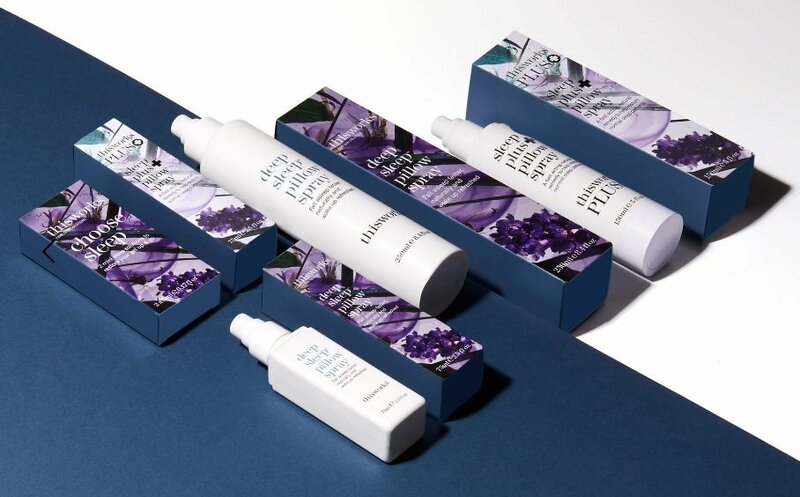 Meanwhile, beauty’s favourite wonder ingredient right now, CBD, is nudging into the space with claims that it can aid relaxation – new brand OTO’s Balance essential oil roll-on is a prime example. The good thing about these products is that while they are positioned in the wellness category, sleep is universal – we all need it and we all do it – so there’s no limit when it comes to potential customers. This Works’ experience bears this out – with a US millennial following on Instagram (per Glossy), Gen X buying via catalogues and online and others discovering the brand via its new retail partnerships (Anthropologie, Nordstrom) it is hitting all bases. Now all we need to do is persuade those new generation Alphas to sleep (and let us get some zzz’s).